Mint leaves are one herb that triggers the enzymes on our salivary glands, and the get our digestive system working. Its health benefits are amazing and it works perfectly. It has vitamins and minerals that are beneficial for our system and helps to flush out toxins from our body. It’s natural and has about the highest in antioxidant capacity. It has that natural calming aroma, which often utilized as an alternative medicine for relieving nausea and upset belly. It helps to fight against Irritable Bowel Syndrome. Mint leaves have the ability to fight allergies, to fight the common cold, to aid indigestion and gas. It’s also known for its power to cure gastric ulcer and ability to keep skin and oral wellness. It eases pains, both pain associated with breastfeeding. Adding mint to our daily diet is a good way to start. One of the advantages of this herb is its highest antioxidant capacities to fight cancer. For this smoothie, some other vegetables and fruits will be added to create this smoothie and make it more tasteful. 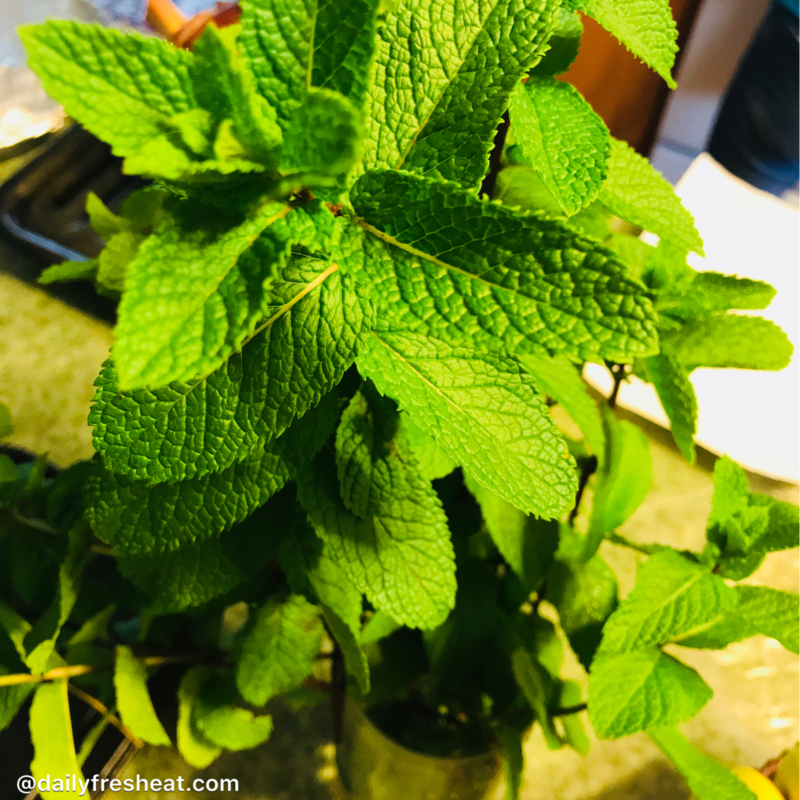 • Wash and steam the mint, then set aside. 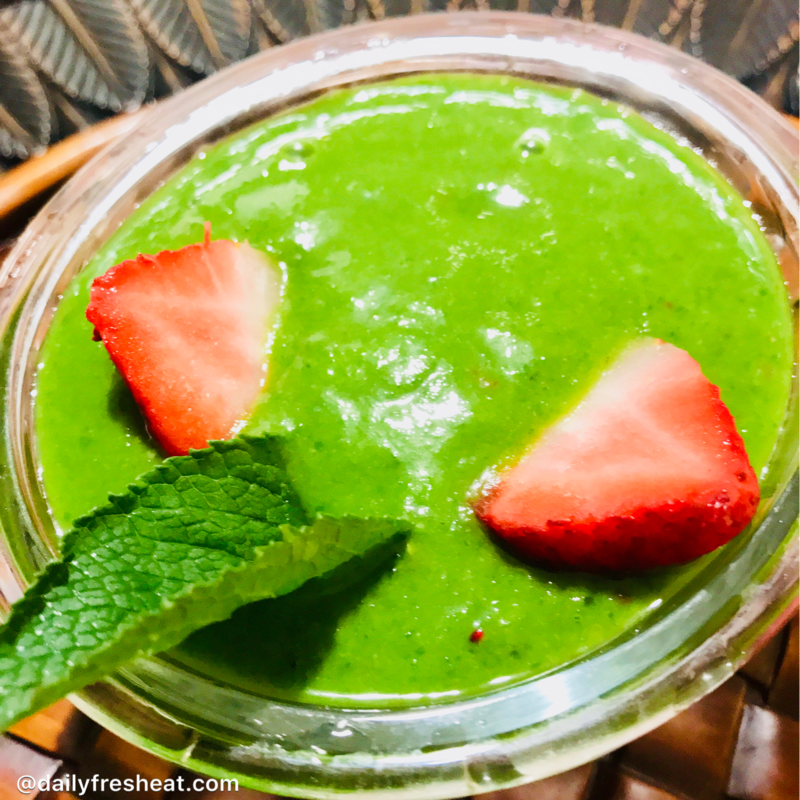 • Wash and chop spinach leaves, apple, and strawberry. • Remove the back and the seed of the avocado and place the edible part into the blender. • Add the chopped spinach, apple, strawberry and steamed mint leaves into the blender. • Pour out into a glass cup and serve.